Have you ever come across such a problem like above? MP3 Player is a portable music player, which enables you to save digital music files (in MP3 format) directly onto the device. Most MP3 player can play more than the MP3 file format. However, if you've downloaded most of your favorite tracks from Apple Music, you will find you can only play those tracks on Apple products, like iTunes, iPhone, iPod, iPad and Apple TV etc. How can we play iTunes Apple Music on MP3 Player? As we all know, Apple Music are protected by FairPlay DRM encryption, which can only allow you to play them on Apple authorized devices only. So if you want to listen to Apple Music on MP3 Player, you need to remove DRM at first. 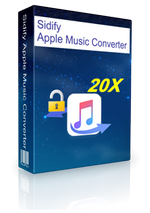 Sidify Apple Music Converter is such a DRM removal tool, which can let you convert the downloaded Apple Music to common MP3 so that you can enjoy Apple Music on your MP3 player easily. 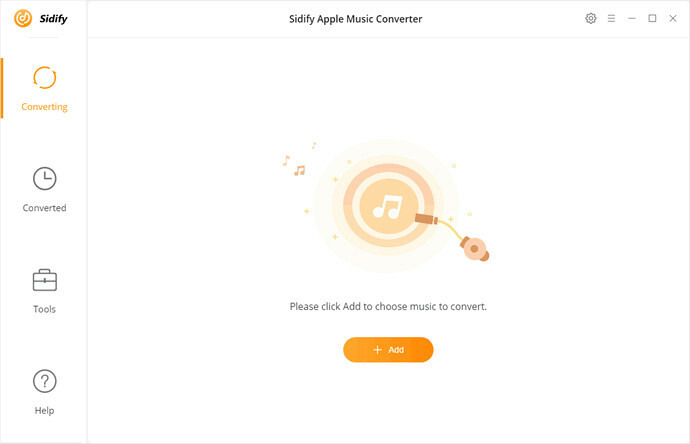 What Can Sidify Apple Music Converter Do for You? 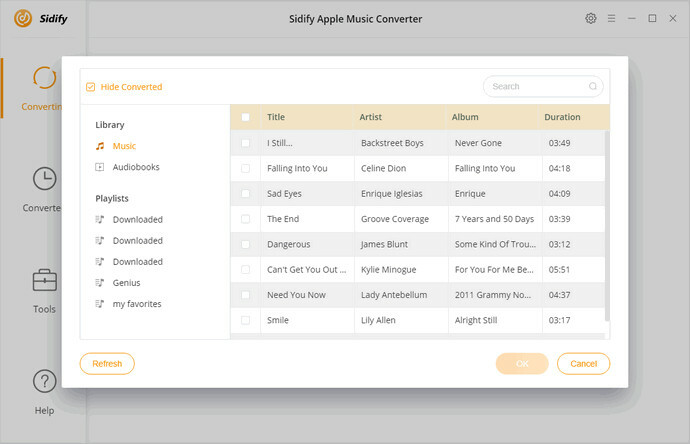 Sidify Apple Music Converter is a multi-functional Apple DRM removal software as well as a professional iTunes Apple Music Converter. With it, you can get rid of DRM protection from Apple Music. Moreover, you can also convert DRM-ed Apple Music, iTunes purchased songs, iTunes/ Audible audiobooks to unprotected MP3, AAC, FLAC or WAV with original output quality. 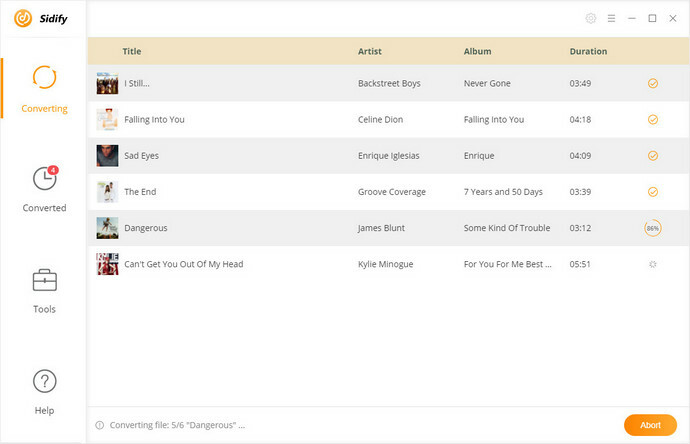 In this way, you can play music from iTunes on your MP3 player, tablet, smartphone, game console and other media player. You can get the DRM free Apple Music files with the following simple steps. Please note that you should download the Apple Music songs from iTunes to local computer before the conversion. Now follow the step-by-step guide below to enjoy iTunes Apple Music on your MP3 player. 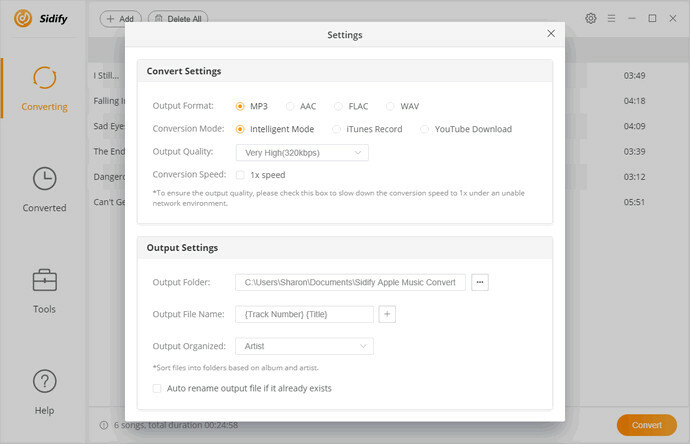 Install and launch Sidify Apple Music Converter on your computer, and iTunes will be automatically opened as well. Click + button to select Apple Music songs you want to convert, all the Apple Music, iTunes purchased songs and audiobooks will be listed in the pop-up window, click OK button. To play Apple Music on your MP3 player, you can choose MP3 as output format by clicking settings gear icon at the top right of the window. Besides MP3, the program also enables you to convert Apple Music to AAC, WAV and FLAC. Furthermore, you can also change default output folder by clicking "..." next to Output Folder. Simply click Convert button to start the conversion. All the converted Apple Music files will be found in history folder. By the way, you can also check Open Output Folder during the conversion, so that the output diretory folder will open automatically after conversion. Connect the MP3 Player to the computer via USB port. Once the device is connected, the computer will recognize the MP3 player as an external device. Select the converted Apple Music files and copy them to your MP3 player. When the transfer is completed, eject the USB from your computer. Now you can play the Apple Music files on your MP3 Player perfectly.